Data breaches put your customers’ identities and your brand at risk. Manage risk and get online credentials right with IDESG’s Identity C-suite-in-a-box. Online identity privacy and security today is inconsistent at best. That’s where IDESG comes in. We’re the only organization dedicated to fully address the future of trusted digital identity credentials. The policies, standards and rules governing the Identity Ecosystem are evolving FAST. Your organization has a choice: help shape the future of online identity or be shaped by it. Your consumers want their identities to be more secure and private. IDESG’s Identity Ecosystem Framework empowers individuals to control their own identities. Data breaches put your customers' identities and your brand at risk. Online identity privacy and security today is inconsistent at best. The IDESG is the source of expertise, guidance, best practices and tools for trusted digital identities. We are the only place where all identity policy influencers work together - public and private sector, industry and academia - to shape the future of online identity. 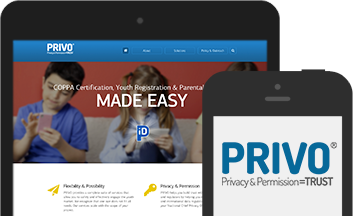 Helping parents safely and securely authorize their children to interact with online services. The IDESG is spearheaded by industry experts who are interested in sharing news, trends, and critical information about the world of identity management. This site is maintained by the Kantara Initiative Inc, but no longer updated, following the transition of IDESG's assets to Kantara in July 2018, with the support of the National Strategy for Trusted Identities in Cyberspace (NSTIC) National Institute of Standards and Technology (NIST). The views expressed do not necessarily reflect the official policies of the NSTIC or NIST; nor does mention of trade names, commercial practices, or organizations imply endorsement by the U.S. Government.